Jump for joy, Misha Lulu lovers! 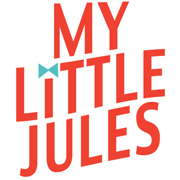 Fall two Misha Lulu pre-orders are now available at My Little Jules boutique. This release consists of two lines, Misha Patchwork and Misha Lulu Hello Kitty Circus collections. Misha Patchwork is a kaleidoscope of vintage-inspired dresses, jumpers, tops and skirts. We are loving Misha Lulu's new body styles which include a warmer long sleeve sweater with a birdy embroidery and comfy sweater dress with an owl screen print. Your little Misha fan will adore these cozy pieces which will also keep her warm. Our favorite piece from Misha Lulu Patchwork line is Happy Misha Cord Jumper which can be worn with a long sleeve top and a pair of skinny jeans. Misha Lulu Hello Kitty Circus collection is sweet beyond words! Screen-printed tops have beautiful lace details and can be mixes and matched with the sateen skirt. Two long-sleeve Misha Lulu Hello Kitty dresses are so cute! Go for a warmer pink velour dress or get lighter-weight grey stripe knit dress, the choice is yours. Short sleeve dress with sateen screen-printed skirt will make an adorable outfit for the holidays! Use codes PREORDER50 for 50% down or, if your pre-order is $400+, PREORDER25 for 25% down on your pre-order. The rest is due when your order is ready to be shipped. Happy shopping, our Misha Lulu friends! All spring 2012 Misha Lulu is now 50% OFF.